Resurssienjohtaminen on helpompaa kuin koskaan. Voit konfiguroida Keto alustaa hyödyntäen jopa tuhansien ihmisten resurssikuormat, raportoinnin, projektisuunnittelun ja riskienhallinnan. Keto Resource Management from £850/€950 per month for 1-49 users, including basic custom workflows. 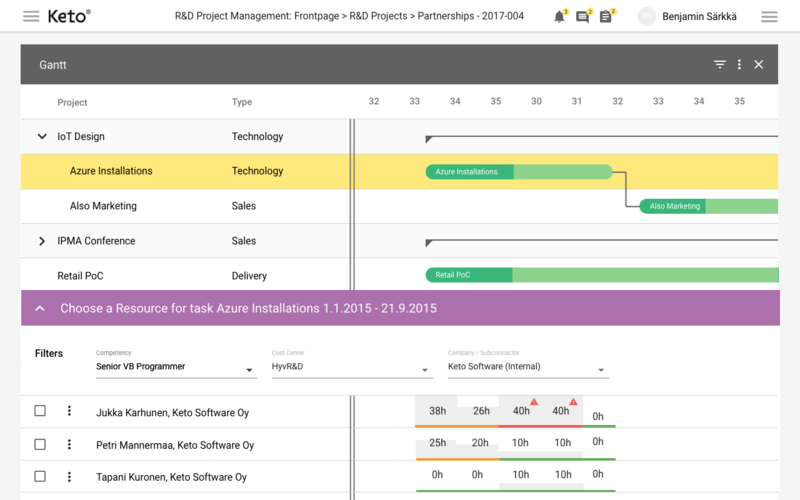 Include additional workflows and tools at a later date: risk management, projects, agile PPM, ideas management, strategy analysis and timesheets/hour recording.